Last night, attentive Reddit users noticed that a promo for the second season of Chilling Adventures of Sabrina appeared on Netflix in some regions, offering a brief teaser of the new episodes along with a date for their premiere. It seems like the promo was up for a few hours, though it may have been a mistake, considering that it has since been taken down and hasn’t yet shown up on Netflix’s promotional channels. The magic cat is pretty much out of the bag, though, with the promo appearing on YouTube via TV Promos and that date now in the open. 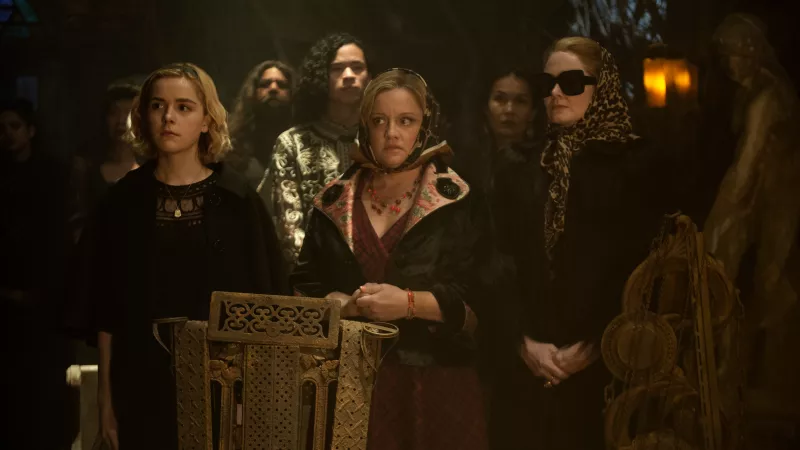 Chilling Adventures of Sabrina will return for part 2 on April 5, 2019. And if you’re hankering for that teaser—featuring Sabrina decked out in all black, plus intrigue, magic, and, of course, Salem—check it out below. Will sub it out for the official version if and when one becomes available. Before Season 2 airs, the holiday special will show up on December 14th. UPDATE 12/1 2:29pm: And here’s the official version.